So . . . 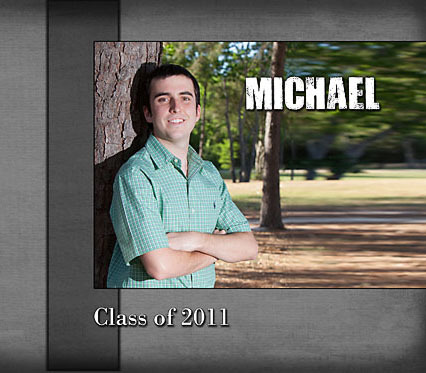 I just delivered another senior album to a recent graduate and his mom. WOW! THIS, my friends, is why I love doing what I do! 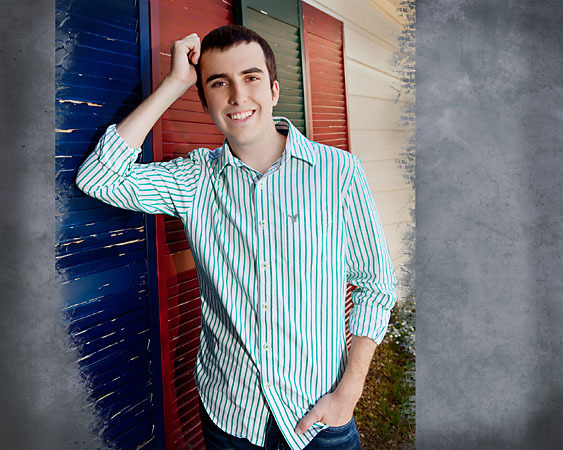 Senior portraits are a HUGE tradition in this part of the country. For most kids, this is the last opportunity they’ll have to be photographed professionally until (and if) they choose to get married. That’s why we take the time to explore the their personalities and make a fun-filled event out of their photo sessions. Even the boys who don’t usually start out too excited about “having pictures made” all admit — out loud no less — that they actually had a great time during their session. Afterwards, we have tons of great images. Selecting just a few is oh-so-hard, but I have some great solutions. The absolute favorites become canvases and wrap prints for the wall, they go into custom graduation announcements, and of course gifts for grandparents, aunts, uncles, and siblings. Everyone loves tons of different wallet prints for passing out to friends. AND there’s nothing more exhilarating than taking the rest of our images, the ones that make us smile, the ones that make us laugh, the ones that make our eyes mist up, and compiling them into an heirloom book or album so that we can enjoy them all for YEARS and YEARS to come. Here are some pages from Michael’s album that I just delivered. Michael, who is enjoying his summer looked totally different the other day when I delivered his book. He’s fishing a lot, and sporting an oh-so-handsome Hollywood-worthy beard. That’s something you just don’t get by with in high school. He’ll soon be packing his gear and heading off to college, but his parents have some great prints on their walls an an amazing album to look at every time they get a little wistful. The holidays will come soon, and I hope he’ll come by for a visit while he’s home, because MY seniors become MY kids . . . and I get a little wistful too. Seems like everybody is dragging a bit in this dreadfully hot and dry summer, and they tend to think that it’s just not a good time to go outside at all, much less schedule outdoor portraits. Well, I have news for you! My favorite tips for survival are to move slowly, know a good Air Conditioning Repair Guy, keep a big pitcher of iced tea close at hand . . .
and of course, NOTHING beats a little POOL TIME! Inspired by Macon, GA photographer Lee McDavid who says that a $12 kiddie swimming pool was one of his best investments ever, I started thinking about new ways to keep our summer senior photography sessions super cool. After a visit to the Goodwill store with one of my favorite high school seniors, we hit the pool with prom dresses and cameras in hand. Sooo much fun! After a little pool and waterfall time, we finished our session by breaking in my brand new bamboo shower wall. I’m loving my private portrait park just a little bit more every single day. Our summer may be flying by, but we’ve still got two or three more months of intense heat. We’re onto something very cool over here! When Laura and John asked me to photograph their wedding, I was beyond excited. Laura and I first met several years ago through our positions in medical nonprofit public relations, and we’ve been involved in several projects together since then. Her gutsy “Take-on-the world” spirit has always impressed me, and the sparkle in her eyes only begins to reflect her generous caring heart. You’ve GOTTA love a gal who devotes her days to saving lives by promoting organ donations all across this great State of Texas. And John . . . well, he is absolutely head over heels in love with Laura. Good choice, John! Great catch, Laura! 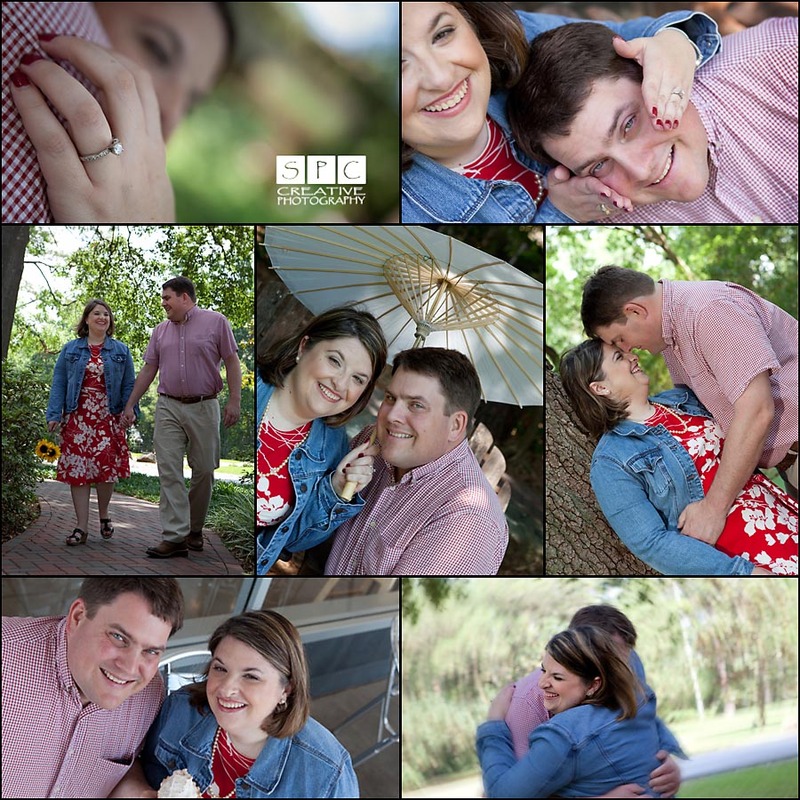 We met for engagement photos on the grounds of the beautiful Houstonian Hotel and Spa. This is where they had their first date and also where John proposed to Laura, giving her his grandfather’s heirloom diamond in a beautifully–set ring. Sentimental? Oh yeah! After our session we just HAD to swing by Tasti Delite, one of their favorite hangouts for frozen yogurt. Oh MY! It is GOOD STUFF! I can hardly wait until their big day — January 21, 2012 — and I’m sure they’re a bit excited as well! We had a little surprise visitor this morning. Isn’t he handsome? 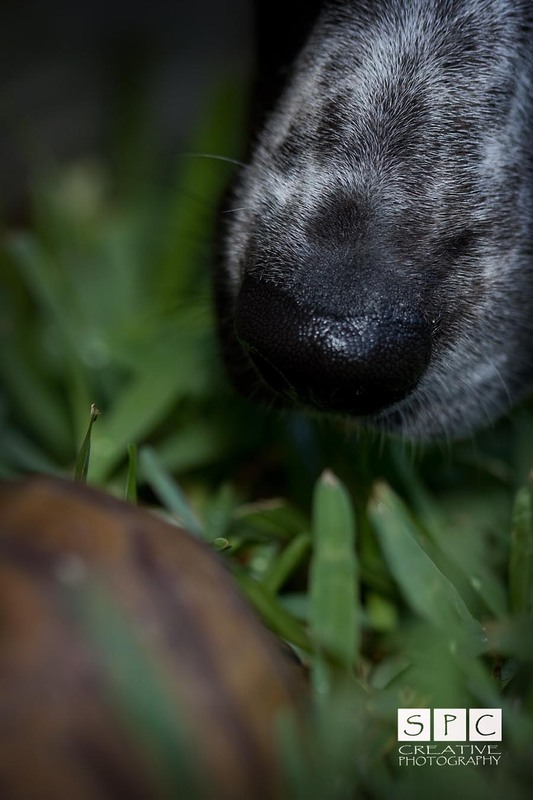 When I first saw that little reptilian head and the back of his shell poking up in the grass, I was afraid we were getting ready to have to confront a big honkin’ snake, so my “Mama Instincts” kicked in and I hustled both dogs back into the house. THEN, I went back out to investigate, camera in hand. SOOOOOOO HAPPY that it was NOT a snake because we had ourselves very a nice little visit. Our guest told me that he had smelled water, and decided he should check it out. Said the places he and his kinfolk usually count on for a little refreshment had purt’ near dried up, and that things weren’t looking too good for the days ahead. In fact, he doesn’t think it’s ever going to rain again in Texas — or even in the whole world. Turtles are known for being a bit pessimistic. Naturally I told him he was welcome to stay as long as he wanted and to partake of all the bugs he could find. Even turned the sprinkler on him for a little bit, and he was most appreciative. I asked if he’d mind posing for a few natural-light outdoor portraits, and he perked right up. Did you know that turtles have egos? Oooohhh. This guy is quite proud of himself. When I told him that I thought he looked particularly intelligent, he said that I was darn right. After all, wasn’t he the one that found the green place with the rain maker thing in it? When I asked his name, though, he just looked at me. Told me I wouldn’t understand Turtlel-ese, and that I should just pick something that I’d remember because names mean more to humans than they do to turtles. Have you ever tried to name a turtle? It’s harder than it seems. When I was about eight years old, I had a little green turtle from Woolworth’s. Pokey lived for a short time in our bathroom in one of those spiral dishes with a stiff plastic palm tree growing up in the middle of it. He was a happy and friendly little guy, until the night he took a bubble bath with my younger brothers. 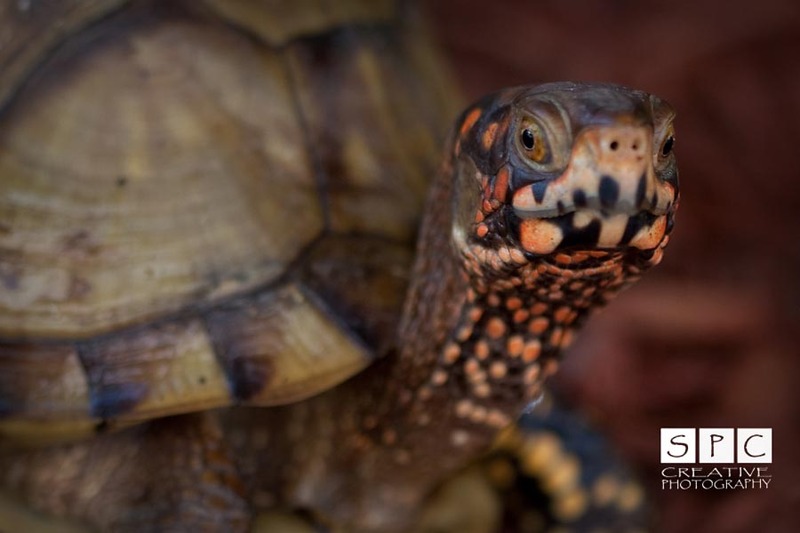 Jim, A desert tortoise, came to our back yard in Midland for several years in a row. Everyone knew his name was Jim because someone had painted J-I-M on his back in big red letters with fingernail polish. We figured it was probably the kid named Jim who lived in the Floyd’s rent house down the block for about a year . . . but wild turtles are not to be owned. That’s why he came to stay at our house. This guy, however, was DEFINITELY not a Pokey or a Jim but he still needed a name. He thinks he’s a Gulf Coast Box Turtle. 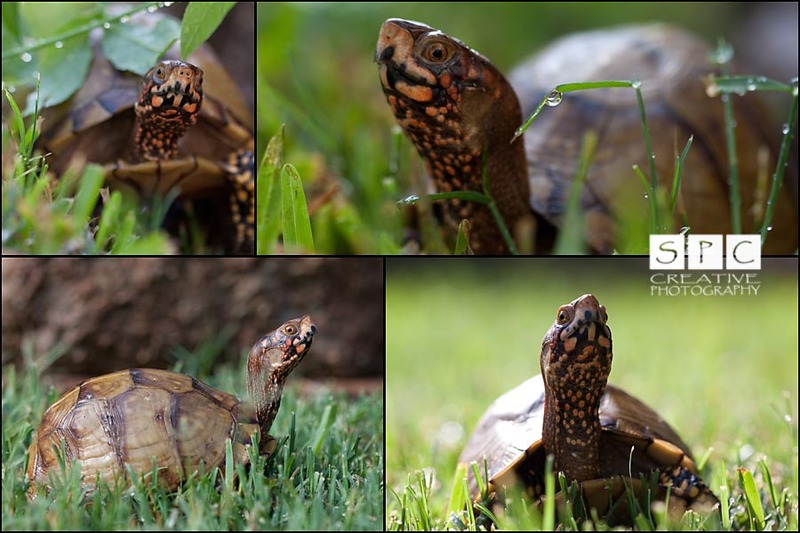 At least no one has told him otherwise, so we nearly decided on Karumbe-Boaska, because it means Turtle-Box in Gujarati and it sounds super cool. We had to look up the word for Box on Google Translator. Don’t ask how we knew the Karumbe part. In the end we decided to keep things simple and go with Sparky in honor of his intelligence and as a nod to Fourth of July Fireworks — of which there will be none in our neighborhood this year thanks to the drought. Sparky was less than thrilled to make acquaintance with Lucy, so he announced that he’d be moving along. He is DEFINITELY a Sparky, not a Pokey. Maybe he’ll come back to visit, but he’s not making any promises. But thank you for turning on the rain maker for a bit.